On Aug. 27, 2012 sea ice extent dipped below the yearly minimum extent reached in 2007. The sea ice at this point, a five-day average, was 4.1 million km squared and the lowest point reached since satellite records began in 1979. The National Snow and Ice Data Center (NSIDC) thought it was important enough to issue a press release. There are sure to be more than a few media-hungry folks who will be moaning about the fate of the poor polar bears because of this report. Before people get too hysterical, a bit of rational perspective might be helpful. Keep in mind that 4.1 m sq. km (Fig. 5) is about the size of Greenland (2.166 m km2) plus Mexico (1.972 m km2), or about the size of India (3.287 m km2) plus Pakistan (0.809 m km2), figures from Wikipedia. It may be a ‘record’ low, but it’s still a lot of ice: 4.1 m km2 is not anywhere close to an ‘ice-free’ Arctic! Arctic sea ice melts – or gets pushed out of the Arctic and then melts – every year, leaving various amounts behind. The ice lingering at mid-September adds to next year’s ‘multiyear’ ice. Posted on August 26, 2012 | Comments Off on Is there insufficient ice for polar bears to den offshore? 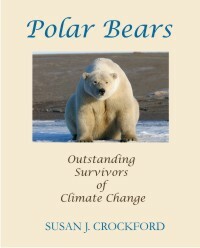 In an earlier post (July 26), I had some critical things to say about an article in the Edmonton Journal (July 17, 2012) by veteran Arctic science writer and photographer Ed Struzik called “Bleak future for polar bears, U of A scientists say“, which was picked up by news outlets across Canada. The Struzik article publicized a summary academic paper written by polar bear biologists Ian Stirling and Andrew Derocher (a former Ph.D. student of Stirling) that appeared “in press” behind the paywall at the journal Global Change Biology on July 9. 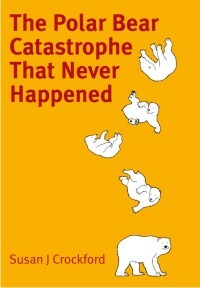 The academic paper is a summary of Stirling and Derocher’s dire predictions on the future fate of polar bears as a result of melting of Arctic sea ice over the next few decades, one of the prophesied catastrophes of anthropogenic global warming. These views mirror to a large degree the chapter on “climate warming” in Ian Stirling’s book on polar bears released in 2011, which I reviewed recently here. In Alaska, many bears are denning on land because there is insufficient ice for them to give birth offshore. Comments Off on Is there insufficient ice for polar bears to den offshore? These are some of the points regarding this new paper by Miller et al. (2012, in press), on genetic evidence for the origin of polar bears, that I think deserve a critical look. See part 1, for my comments on Claim #1 (the fossil evidence)(see Doug Hoffman summary of the paper here). In this post, I’ll elaborate on Claim #2. I’ve added one more to the original three listed. Claim #2 Hybridization in both directions occurred repeatedly throughout the evolutionary history of polar bears and brown bears. Claim #3 Svalbard may have been an important refugium for polar bears during warm interglacial periods. Claim #4 Polar bear population numbers (population size estimates) over the last one million years tracked changes in climate (warmer/colder periods). Claim #2 Hybridization in both directions occurred repeatedly throughout the evolutionary history of polar bears and brown bears [a claim also made in two other recent papers on polar bear evolution (Edwards et al. 2011; Hailer et al. 2012)]. A new genetic study (Miller et al. 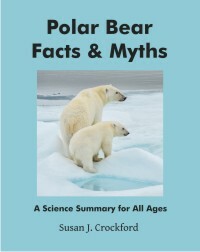 2012, now in print) suggests that Polar bears arose between 4-5 million years ago and thus survived the more than 50 glacial/interglacial cycles of the 2.5 million year Pleistocene epoch. Here I’ll begin to explore some of the claims of that paper on the emergence of Arctic bears, suggesting why we might want to take them with a grain of salt. See my introduction to this topic, which contains information on the so-called ‘ABC’ bears of Southeast Alaska (as well as some notes on my adventures in ABC bear territory a few years ago). It’s worth taking a look at Doug Hoffman’s excellent Aug. 5 summary of the original paper here. The NIPCC also has a summary here. Here are some of the points regarding this new paper by Miller and colleagues that I think deserve a critical look. In this post, I’ll elaborate on Claim #1. A new genetic study (Miller et al. 2012, in press) suggests that polar bears arose between 4-5 million years ago and thus survived the more than 50 glacial/interglacial cycles of the 2.5 million year Pleistocene epoch. I will explore some of the claims of that paper later, suggesting why we might want to take them with a grain of salt. But first, a bit of background and my personal caving adventure in ABC brown bear country.